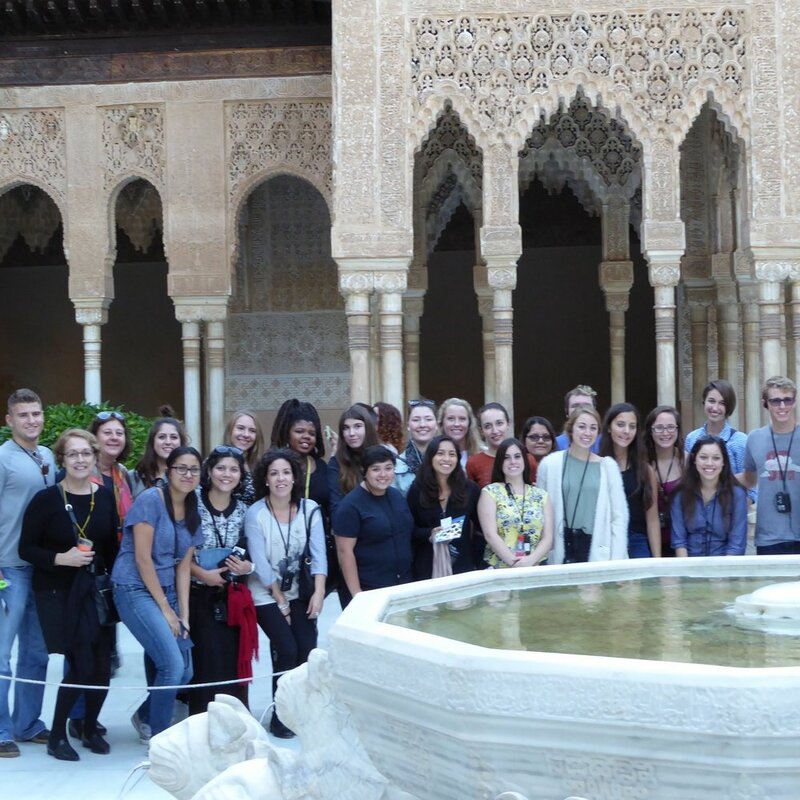 Although your program is based in Córdoba, our excursions take you to other cities in Spain to provide contrast and context for what you are learning in Córdoba. Fall semester students also visit Morocco. * All excursions are part of the academic program and are mandatory to attend. Below are excursions that have been offered in the past several years, but excursions are subject to change. An updated program calendar with the dates and locations of the excursions will be sent to you prior to arrival. All ground transportation, hotel, all meals, and entrances and tour guides to group-related historic sites are included in your program fee. You can also use cultural reimbursement funds to visit other Spanish cities or return to ones you go with the program. Granada was the capital of Moorish Andalusia and the world-famous Alhambra palace and fortress is a remnant of this period. Granada also has important examples of medieval architecture. The city is located at the foot of the Sierra Nevada, the Iberian Peninsula’s highest mountain, but also not far from the Mediterranean Sea. Granada has a number of festivals based on Moorish and Christian traditions. Declared a National Monument in 1923, Medina Azahara is the city palace built for Abd-al-Rahman III in the 10th century. The city was built on three terraces, surrounded by a city wall, with the castle situated on the highest and the middle levels. The lower level houses the mosque and the living quarters. Much of the city was destroyed, but there are still remnants of tiled borders, paintings and columns. Recently restored rooms and a visitor’s center will give you a glimpse into its past. This five-day excursion visits Tetuan, Chefchouen and Asilah. You attend workshops at the local university and meet with Moroccan students in a variety of education settings to discuss economic development, sustainable tourism, and a variety of other issues of mutual interest. You participate in a workshop with local NGOs and visit local historic sites. *In the event of safety or health concerns, an alternative excursion will be identified. 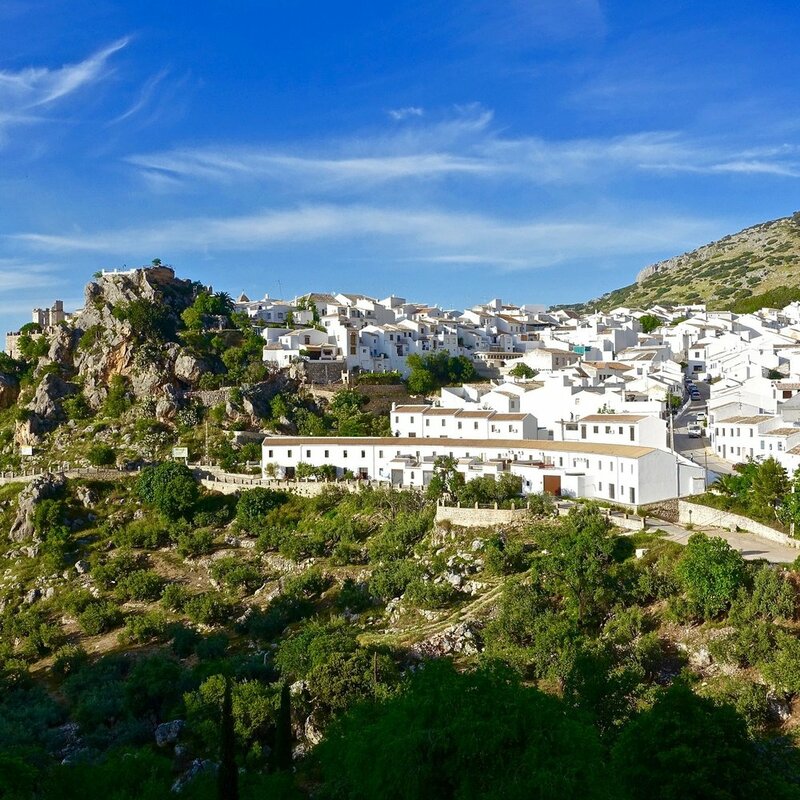 A picturesque mountainous village, secluded in the mountains of Córdoba, Zuheros has conserved the traditional architecture of white houses with ochre roofs. The town was originally founded to protect an ancient smuggler’s roadway and includes a Moorish castle and Las Cuevas de las Murciélagos, “Bat Caves” that were inhabited as far back as the Neolithic period that were used to hide contraband. The visit also includes an olive oil mill and a cheese factory. Although today Moorish influence is architecturally most evident, Sevilla also has influence from the Roman Empire. The city is home to the largest Gothic cathedral and the third-largest church in the world, the Barrio de Santa Cruz, and the Archivo de Indias. When you visit this city, you are in the very heart of Andalusian culture, the center of bullfighting and Flamenco music. Consuegra is the birthplace of saffron in spain and has 12 giant windmills, which inspired Miguel de Cervantes to create the famous episode of the battle against the giants in his work 'Don Quixote'.Located in Castile-La Mancha, Almargo and Daimiel are quintessential Spanish towns with wonderful history and gastronomy. Almagro boasts an impressive Plaza Mayor and a 16th century open air theater that regularly hosts performances of 16th and 17th century Spanish theater. Daimiel's main attraction is Las Tablas de Daimiel National Park, with an amazing wetlands habitat for several species of birds.